Ruppert Painting is a professional house painting contractor and home improvement service. 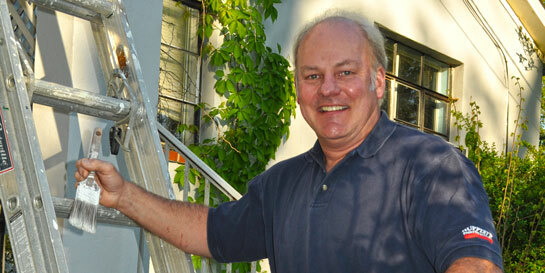 Ruppert has worked on homes for over 40 years and is committed to quality work and long term customer satisfaction. A paint job by Ruppert includes inspection and repair of problem areas, thorough surface preparation, and careful application of the highest quality coatings available. One-stop shopping for house painting and repairs! a professional house painting service, committed to quality work and long term customer satisfaction. Ruppert Painting offers you ``ONE-STOP`` shopping. We include a wide array of home improvement services for your convenience. These include: skilled replacement of rotten sills, trim and siding, improved attic ventilation, roof and flashing repair, new gutters and leaders, new porch screening, garage and basement floor epoxy painting, window sash and jamb restoration, roof washing, deck re-surfacing, window and storm door replacement, and wildlife mitigation. Get the most out of your house painting, call or write us for a free estimate! Serving residential communities for over forty years!